A 20-7 lead at half-time ought to have been enough for GHA to base victory against Jed-Forest at Braidholm on the opening day of the Premier Two programme. But it was not to be. 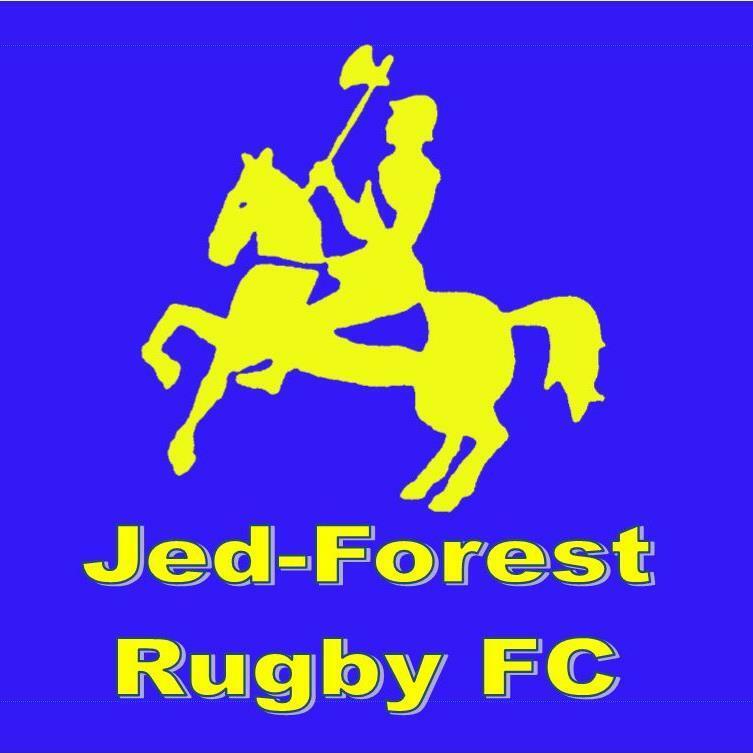 Jed scored 27 points without reply in the half-hour after the interval, and even a losing bonus point escaped GHA’s grasp. GHA fielded no fewer than four on debut, three of them in the pack. Another would-be newcomer, Simon Shearer, had to stand on the sidelines as his clearance papers from New Zealand failed to arrive in time. Yet it looked all so bright for the home support in the early stages, with the new-look GHA team willing to spread the game wide. Tries by wing, Scott Lang and full back Andrew Gillman, were indicative of the home team’s intentions. newcomers, sparked the scoring move with a quickly taken free kick, and Chris Binnie broke through to close to the line before Andrew Gillman sent Lang over. Murray Houston converted from far out on the left and then added two penalty goals so that GHA led 13-7 after 23 minutes. By then, however, the margin really ought to have been wider given the amount of threat that GHA posed. Gregg Taylor looked comfortable in his new role at stand-off, ever eager to swing the ball wide. He also turned Jed’s rare threats with heavy kicks, and as a variation, his chip to the goal-line would have been rewarded if GHA had not gone offside. Filander stirred the crowd with his breenging runs, Houston was a busy scrum half as well as an 80% goal-kicker, and Gillman was a regular threat from full back. One of his breaks, up the left touchline, would have produced a memorable try if a supporting pass had not gone slightly forward. Gregor Young’s clear break through the middle for a Jed try, with Euan Scott converting, cut GHA’s lead to 10-7 in 11 minutes, and the visitors would have been level midway in the first half if the full back’s penalty kick had not thwarted by a post. Houston responded to that escape with his second penalty goal, and GHA stretched the lead to 13 points in 27 minutes after replacement Paul Harkins had stolen a Jed lineout. Patrick Hilley’s long pass then let Dunn run in from more than 20 metres before drawing and passing to Gillman out on the right touchline. Houston again converted from a wide angle. Harkins had had to take over in the pack after one of the newcomers, Adam Barnett, the Scotland under-17 lock of last season, had injured a foot. That early enforced change, however, did not much affect the GHA effort in the second quarter. But, whatever happened at the interval, the game dramatically changed. Also, seven minutes into the second half, GHA were forced to change their stand-off, Jim Noonan stepping in for the injured Taylor. 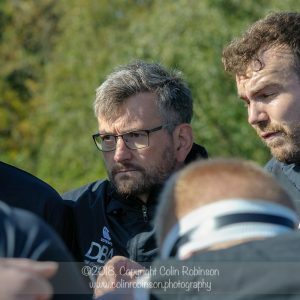 Regardless of that, however, with GHA struggling at the lineout, the home runners did not have enough possession to repeat their first-half show as Jed dominated possession, notably with Chris Laidlaws astute use of the stiff breeze to plug the GHA’s left-hand corner. Two Jed tries came from that ploy, with the forwards driving over for Darren Gillespie to score on each occasion. Scott converted the second of those for a 20-19 lead, but GHA could have been back in front if another Gillman break had not been denied by an interception. 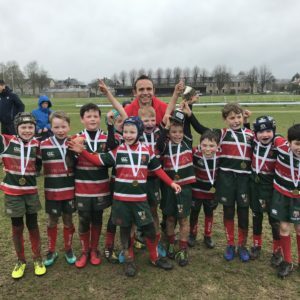 Instead, Young scored his second and the Jed bonus-point try with a too-easy run up the wing, Scott converting, and Gillespie had his third by picking off GHA’s loose lineout ball. GHA then lost Filander, yellow-carded for a high tackle, and Scott extended the visitors lead to 14 points with the consequent penalty goal. 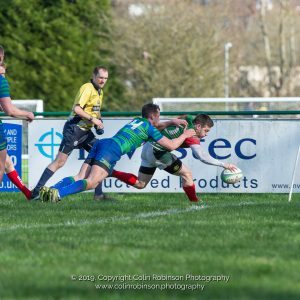 But two minutes into added time the short-handed home team still found the way to come back to within bonus-point range, when Houston chipped ahead from halfway and Jamie Pinder gathered on the full and ran 40 metres for a try. Houston’s conversion attempt from the right touchline drifted wide on the stiff breeze. Frustratingly, it was his only miss in five shots at goal.